Homes under contract, also called “pending sales,” are properties with an accepted offer that should close within 30-90 days. Because homes don’t typically go pending and close during the same month they’re listed, when inventory is very low, there can be more pending sales than homes available to purchase. 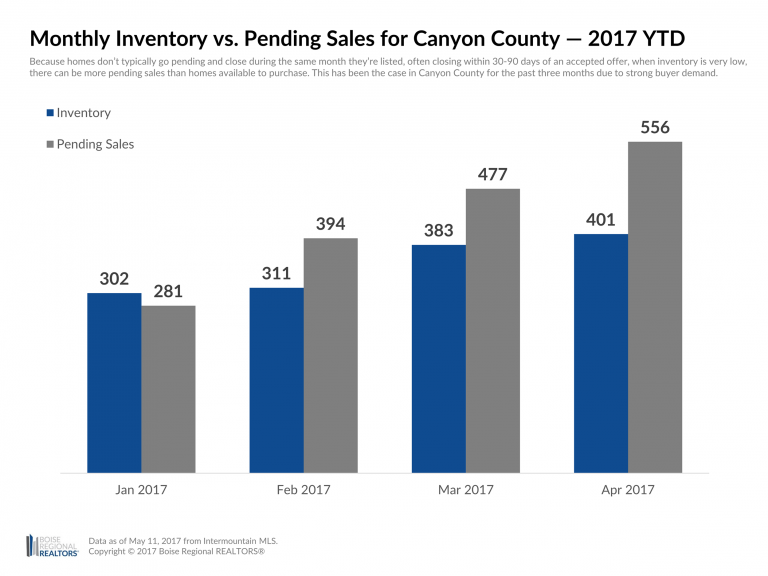 For the past three months in both Ada and Canyon County, pending sales of existing homes have outpaced inventory, as buyer demand continued to be strong throughout the spring market. Taking a closer look at April 2017 in Ada County, 1,107 existing homes went under contract compared to the 891 existing homes that were available for sale. In Canyon County, 556 existing homes went under contract compared to just 401 existing homes available for sale. Canyon County experienced this same three-month trend in February, March, and April 2016, but it reversed by May 2016. Ada County pending sales were only higher than inventory in April last year. 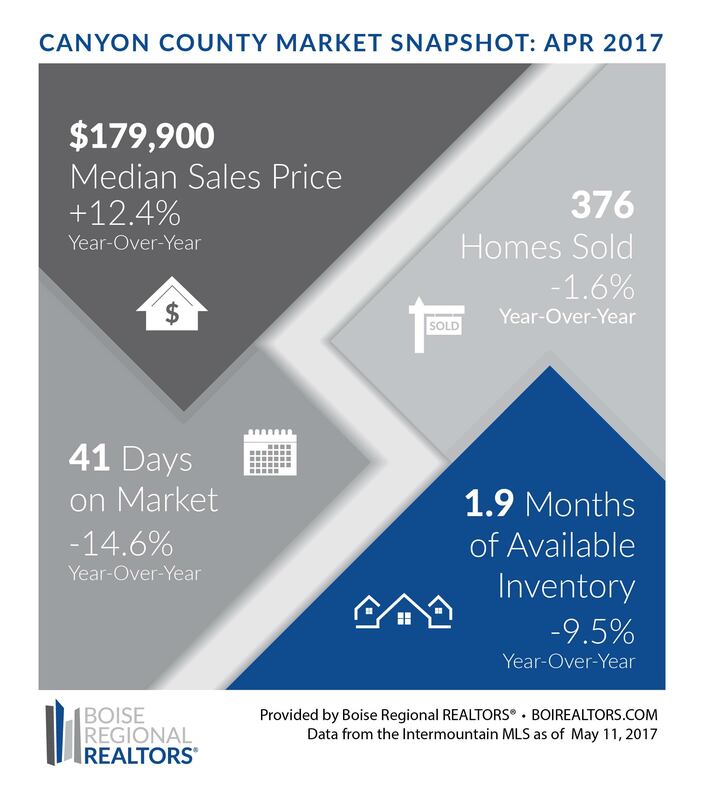 Low inventory has also affected closed sales figures for existing homes, with year-over-year declines in both counties. This is not a reflection of buyer demand, as seen by the pending sales figures mentioned, but more simply: buyers can’t buy homes that aren’t for sale. While the National Association of REALTORS® (NAR) is looking to builders to help solve the inventory shortage nationwide, locally, we need additional existing inventory to come online.